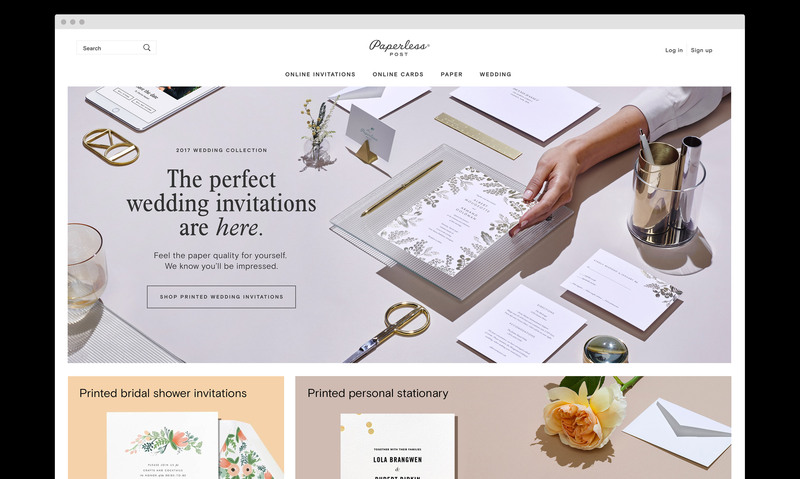 Art direction for Paperless Post's 2017 Weddings campaign. 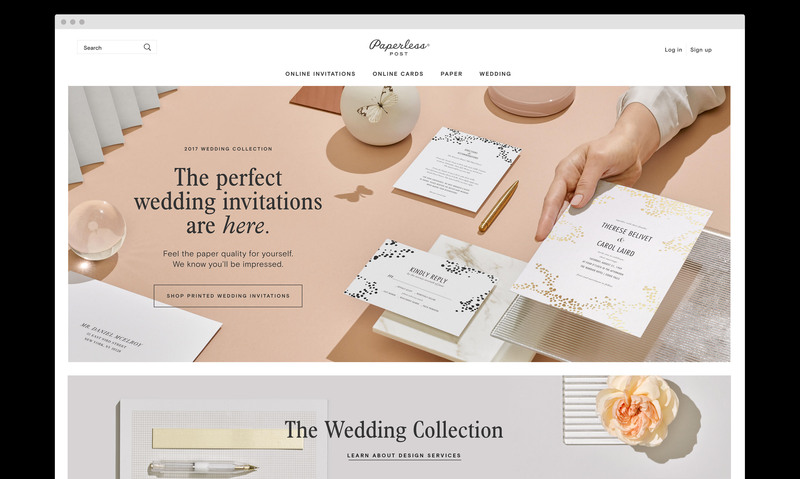 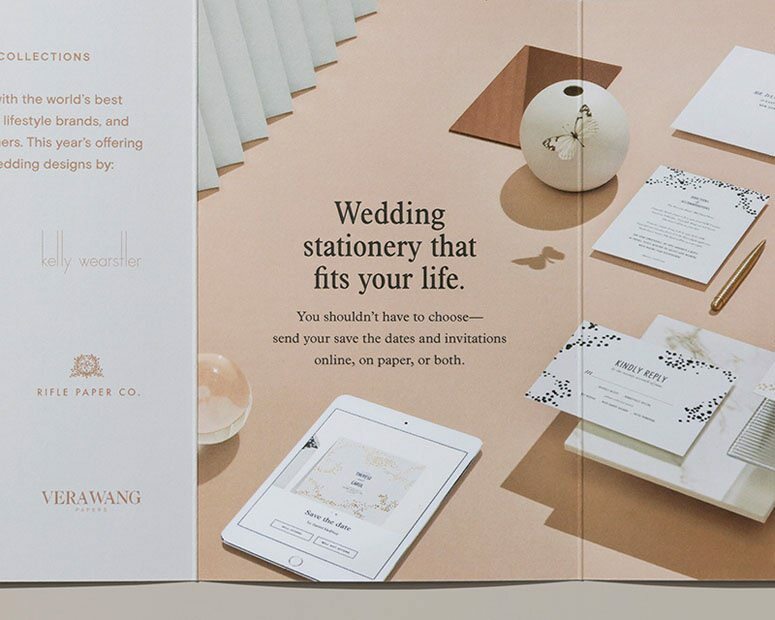 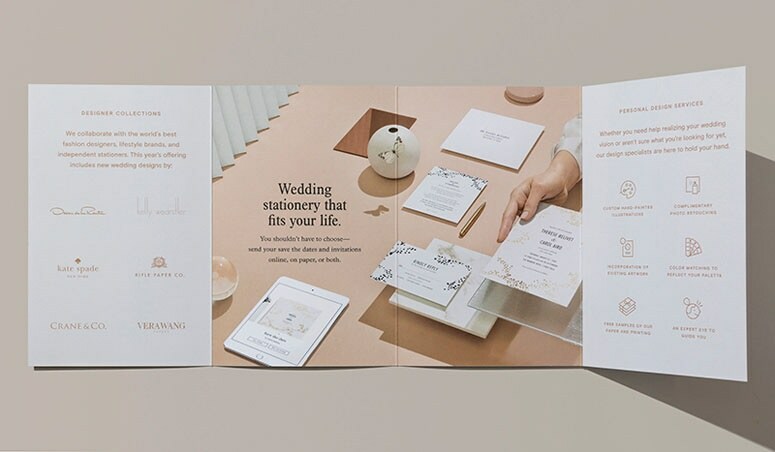 With an aim to grow their Wedding business, Paperless Post was looking to acquire more newly engaged brides throughout their engagement, wedding, and newlywed year — specifically, strengthening awareness and conversion for their most recently added Paper products. 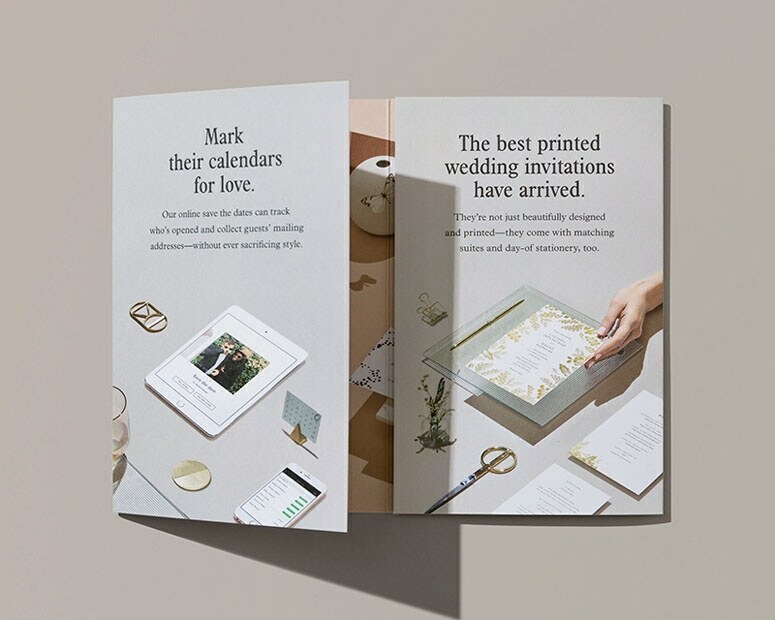 Led by the idea 'beauty meets efficiency', the campaign highlights Paperless Post's commitment to design and discernment, with a strong sense of practicality. 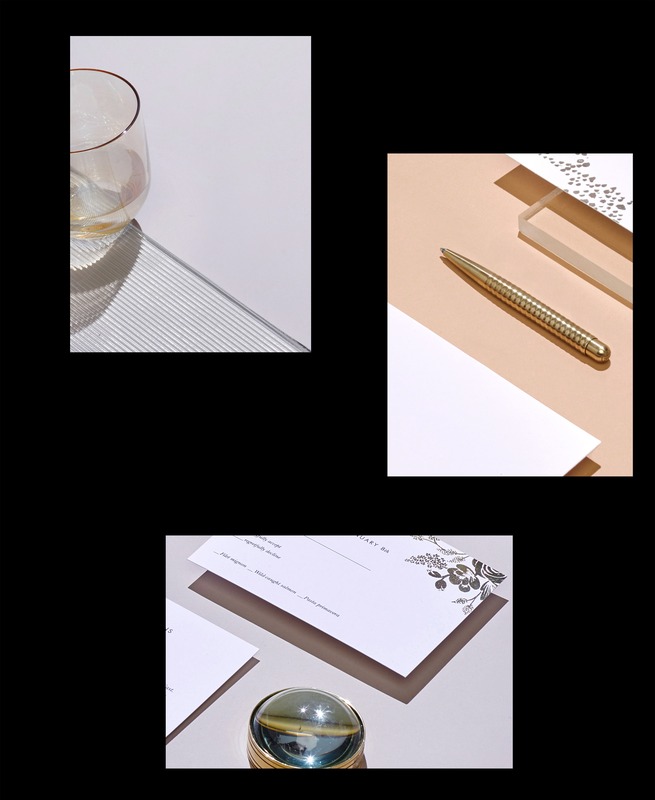 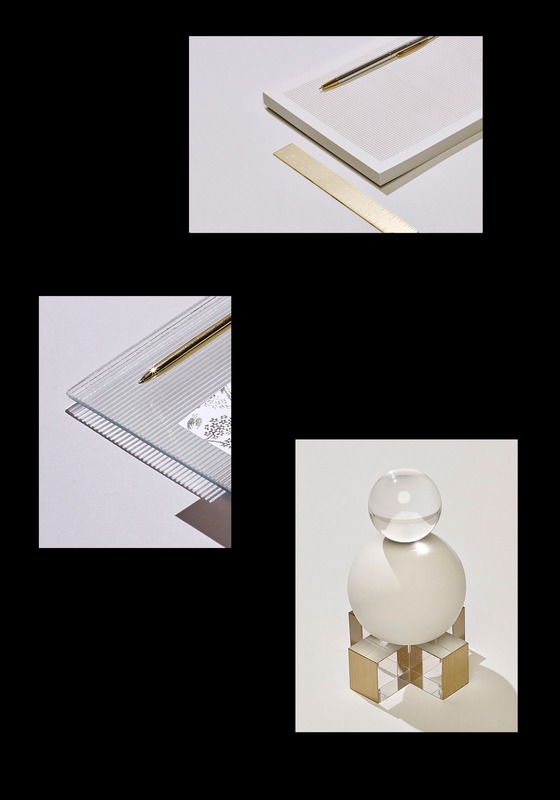 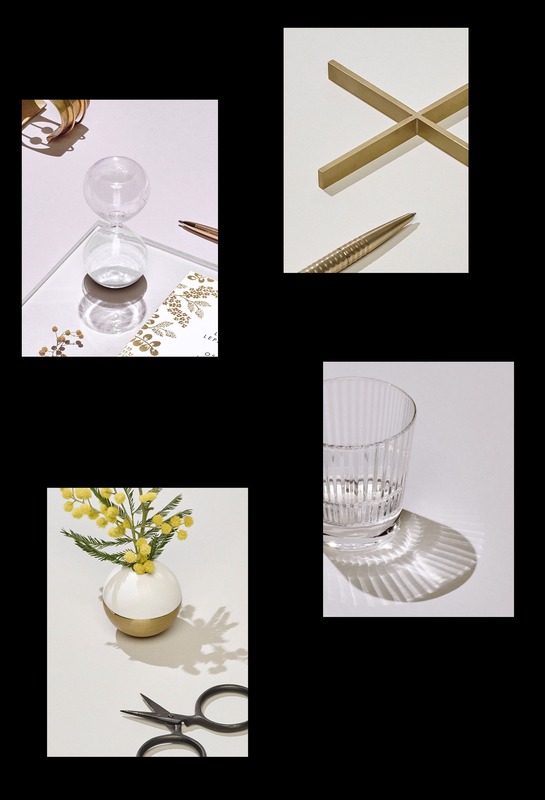 A material focus on glass was bought in for textures, props and surfaces to ground the campaign — elevating the product in a way that felt contemporary yet classic, and as a nod to wedding glasswear. 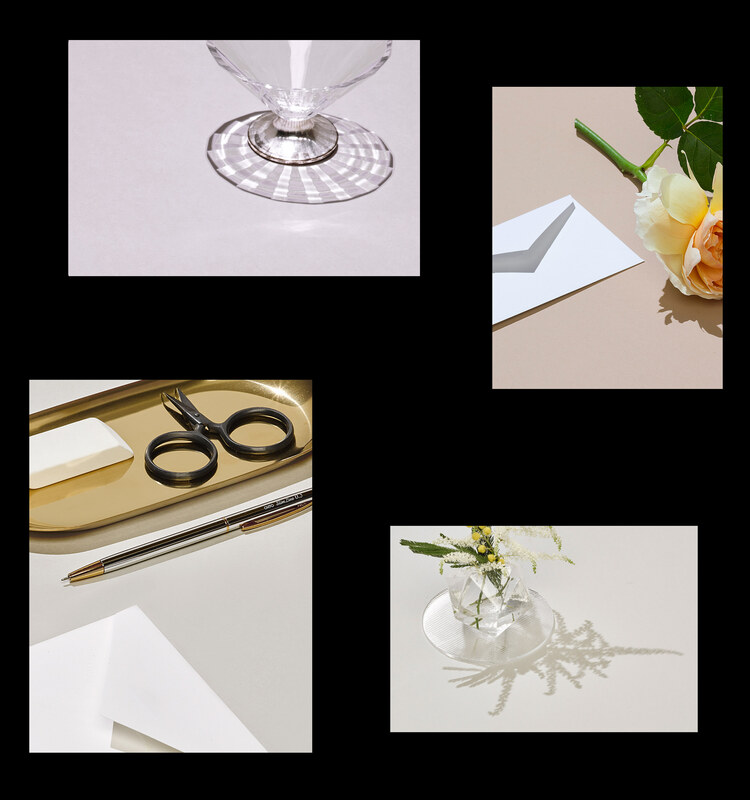 Artful yet polished, and with a sense of relaxed yet geometric order, the final outcome marries precision with play, and strives for an equal focus of form with function. 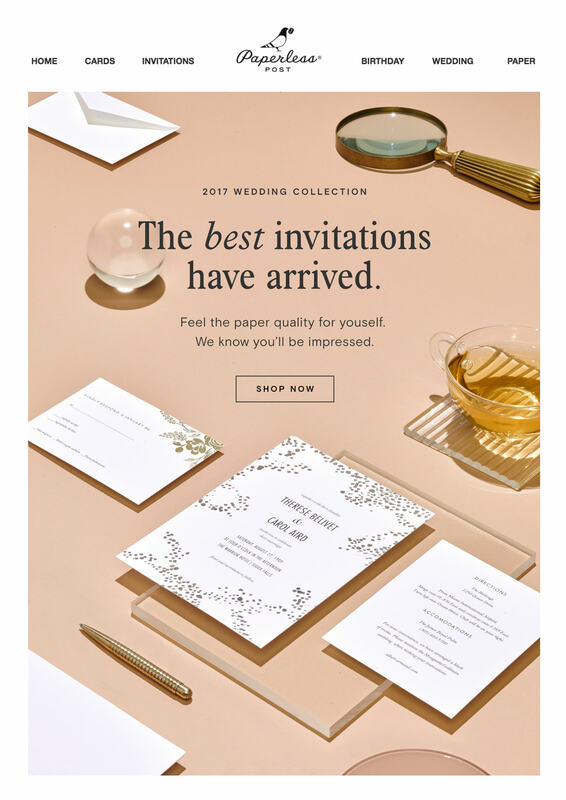 Rolled out across the .com hero images on both Home and Paper, assets were also created for application throughout the site, for email newsletters and for various promotions in print. 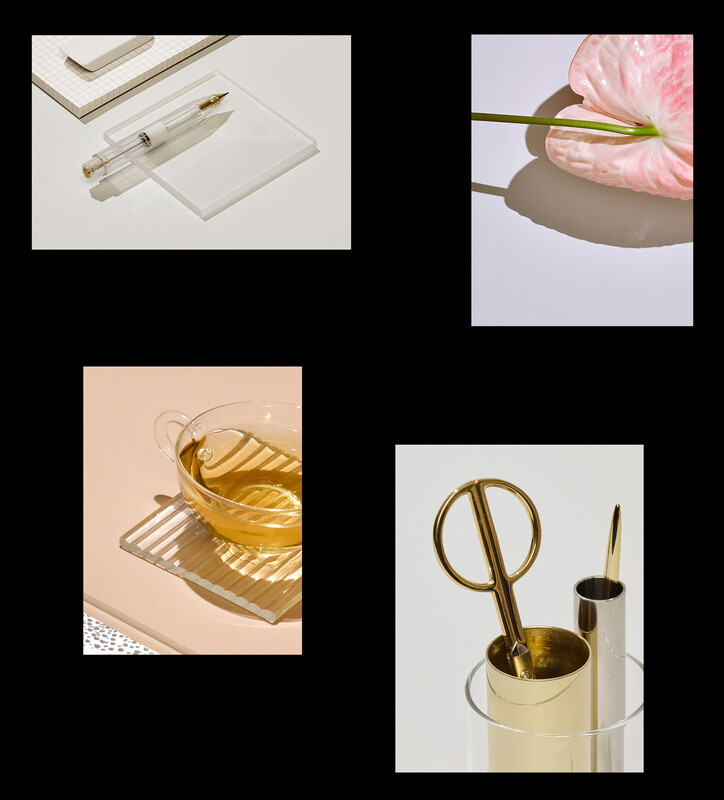 Shot in January 2017 by photographer Scottie Cameron. 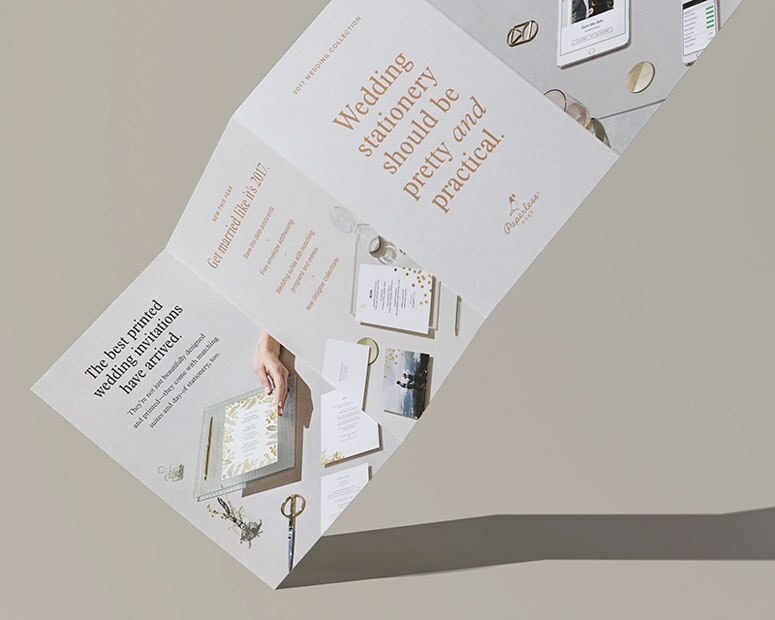 As a physical counterpart to the visual online marketing of the campaign, printed collateral was designed by Paperless Posts's in-house team, and was subsequently featured on Under Consideration: For Print Only.